This song is for work with the listening of your students. They listen and complete the gaps with the words listed. Have fun! This downloadable printable is intended for high school students, elementary school students, kindergartners and nursery school students and adults at Beginner (pre-A1), Elementary (A1), Pre-intermediate (A2), Intermediate (B1) and Upper-intermediate (B2) level. 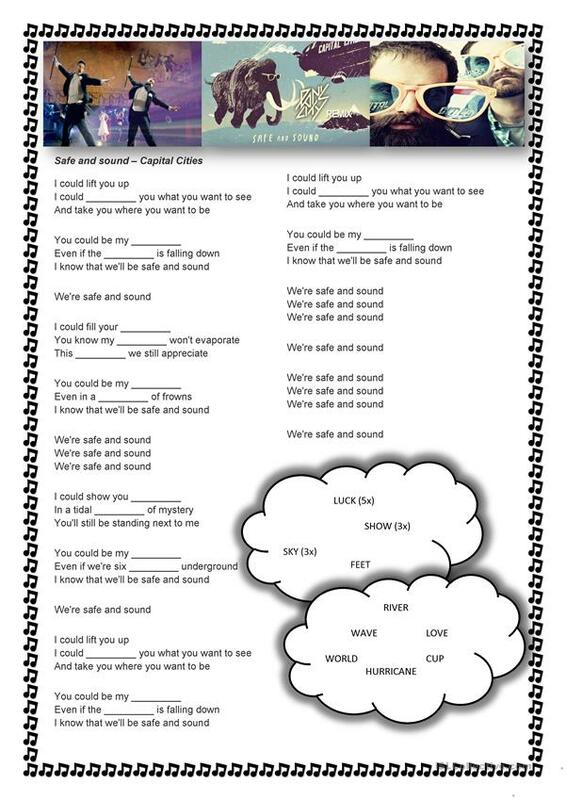 It is a useful material for consolidating Past simple tense in English, and is excellent for developing your students' Listening, Speaking, Reading and Writing skills. It is about the theme of Music. Gaby5700 is from/lives in Brazil and has been a member of iSLCollective since 2013-04-19 17:15:03. Gaby5700 last logged in on 2015-10-22 19:52:50, and has shared 3 resources on iSLCollective so far.